Shankar Mahadevan all set to kick up a Storm | WhatsTheScene? 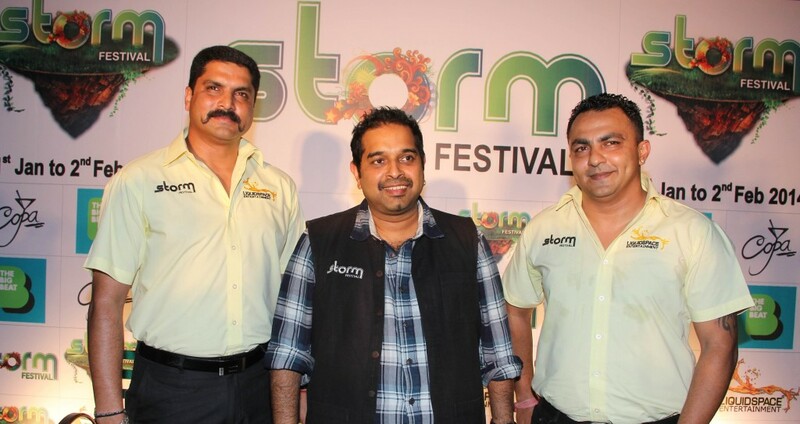 In a first-ever association of its kind between an Indian music festival and a top-ranking mainstream musician, Shankar Mahadevan is all set to strengthen his ties with the Storm Festival. Mahadevan headlined the second edition of Storm Festival which was held in Coorg, Karnataka earlier this year. Mahadevan collaborated with the revered Indian band Indian Ocean to mark the grand finale of Storm Festival in February . Apart from Mahadevan’s name and face the festival will see his participation in identifying hidden musical gems from across the country and the world. Speaking about the association, Shankar Mahadevan says “At first I was pleasantly surprised to learn that India has a festival where music lovers can camp-out amidst tight security, there’s a strong check on drug abuse and everything is organised to the T. The experience is so energising that you want to come back to the festival every year. So, it was only natural that I joined hands with a beautiful festival such as Storm, which is truly a musician’s paradise with great talent from India and across the world. Moreover, Lavin Uthappa (Festival Director, Storm), has been a dear friend for years, so this union becomes even more special.” This year the music fans will be welcomed to a 3 nights and 2 days festival and a brand new venue, which will be unveiled shortly.